As a Wealth Advisor with TD Wealth Private Wealth Management, I work with a Team of professionals to assist high net-worth families achieve their financial goals and dreams. The cornerstone of my approach is investing time in a legendary Discovery conversation to learn about my clients lives, dreams and experiences. This intimate approach allows me to prepare a personalized Wealth Strategy for my clients which includes engaging TD Specialists who can provide clients with expertise for complex credit, estate & high net worth planning, investment management and other sophisticated financial solutions. I differentiate myself from other Advisors with a broad skill-set, unique life experiences, and a history of personal successes. My life and career have challenged me to work hard, diversify my interests, and to set goals, exceed expectations, and to continuously self-improve. In the years' ahead, I hope to continue to meet these challenges. 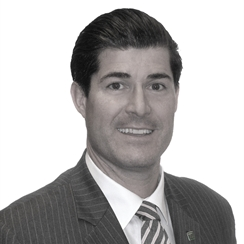 I joined TD Wealth in October 2010 and I have over 15 years' experience working with some of Canada's most successful families and their businesses. During my lifetime in financial services, I have worked in cities across Canada in wealth management, private banking, commercial lending, and trade finance. I have a Master of Business Administration (MBA) from the Ivey Business School at the University of Western Ontario and a Bachelor of Commerce (hons) with distinction from the University of Manitoba. I also studied at the University of Plymouth, England and the University of Melbourne, Australia on international exchange. I hold the following designations: Certified Financial Planner (CFP®), Chartered Investment Manager (CIM®), Certified International Wealth Manager (CIWM), and Fellow of the Canadian Securities Institute (FCSI®). I am also a proud graduate of St. Paul’s High School in Winnipeg, Manitoba where my father taught mathematics for over 35 years. I am active in the community and I currently volunteer with the Wood’s Homes Foundation in Calgary, Alberta. In my spare time, I like to jog, golf, snowboard, travel and enjoy a glass of wine with family and friends.